It can be hard to dissect what made a classic game great. Trying to recapture that spark can often lead to something desperate — a game without its own identity. Wayward Souls does not have that problem. 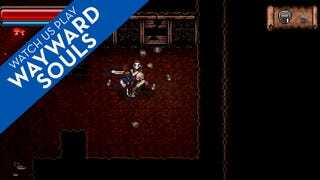 In the video above, I take a look at the retro stylings of Wayward Souls for iOS. It's a game that fuses elements of games like Secret of Mana and Rogue to create something new and wonderful — a mobile game that captures what made 16-bit action RPGs great instead of merely mimicking them. You can pick up Wayward Souls for 5 bucks on the App Store. Android and PC versions are also on the way.